Dr. Therese Galang is a licensed specialist in orthodontics. She received her orthodontic degree in 2007 from the University Of Illinois School Of Dentistry. She is currently a tenured associate professor on the faculty of the orthodontic residency program at UIC with responsibilities in both the undergraduate and graduate programs. 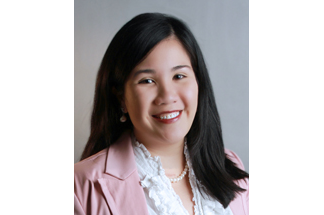 Dr. Therese graduated from the University of the Philippines, Manila and the University of Illinois Dental School. She went directly into her orthodontic training after graduating from the University of Illinois, and her Master's degree is in Oral Sciences. Dr. Therese is active in the orthodontic community, serving in leadership roles as well as giving lectures both locally and abroad. She is a Diplomate of the American Board of Orthodontics and a member of many professional organizations. Dr. Therese's professional interests include sleep apnea/breathing improvement and the identification of the correct timing of treatment for children to minimize the amount of time a child is in active therapy. Most importantly, she enjoys taking care of all her patients and takes pride in giving them healthy beautiful smiles. On a personal note, Dr. Therese is married to an amazing nurse practicioner and has two beautiful young children.